Few plastic surgeries can rejuvenate your face quite like a brow lift Boca Raton with Dr. Murphy. By subtly elevating your forehead and repositioning your eyebrows, he has the ability to take years off your appearance, while sculpting a more pleasant and approachable expression. 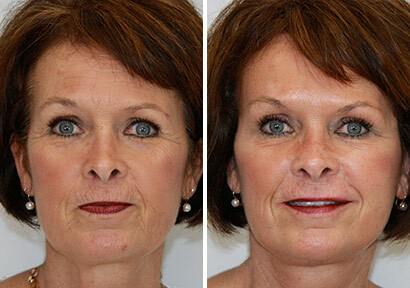 Tricophytic brow lift. This procedure is Dr. Murphy’s most commonly used brow lifting operation for its excellent versatility and beautiful, natural results that will last for years. The incision heals inconspicuously and is well camouflaged by the patient’s hair. This technique allows for patients with a pre-existing asymmetry to have that issue addressed. Coronal brow lift. Also referred to as an “open brow lift,” a traditional brow lift is the most thorough approach to this improving the heaviness of the brow. It involves creating a single long incision along the superior scalp, allowing Dr. Murphy to gain unobstructed access to the underlying tissues and muscles. Through that access, he will remove unwanted fat, tighten lax muscles, elevate the brow with precision and trim away excess skin. This procedure is the ideal approach for those patients with a heavy brow and low hairline. Temporal brow lift. This is an ideal patient who seeks a more elegant appearance as it solely lifts that lateral aspect of the brow creating an esthetically pleasing flare of the brow. Named temporal because the access point is over the temple, this operation allows for excellent camouflage within the hair follicles. Endoscopic brow lift. The endoscopic brow lift is substantially less intensive than the open approach, but it still produces incredible results. To begin the procedure, Dr. Murphy will create four to five short incisions along your scalp, which will be hidden within your hairline. He will then insert a very thin, lighted tube with a video camera (endoscope) that allows him to operate on your underlying structures without lifting the forehead skin completely. Regardless of the specific approach used, Dr. Murphy will perform your brow lift under “twilight” anesthesia, which means you’ll be asleep, safe and comfortable throughout surgery. In addition, he will operate in the conservative and subtle way for which he is known, making sure that you still look like you after the procedure – just years younger. And finally, he’ll always take special care to avoid the hallmarks of a poorly performed brow lift, such as visible scars, a pulled-back look and an artificial expression. A consultation with Dr. Murphy leaves patients fully knowledgeable about their options. Schedule your consultation today to start on the road to facial rejuvenation. Once your brow lift Boca Raton is complete, you should expect to stay home from work for about a week or two, depending on the surgical approach used. In general, you’ll want to ice your forehead and eyes for the first few days to control swelling and elevate your head to promote healing. During this time, it’s completely normal to experience some bruising and numbness around your eyes and brow, though these effects will subside gradually on their own over time. As you recover, it’s important to avoid anything that may put unnecessary strain on your body, such as vigorous activity or heavy lifting, for at least a two weeks. A few days into your recovery, Dr. Murphy will have you return to our Palm Beach Gardens office so that he can evaluate your progress and make sure you’re healing as expected. During this meeting, he will provide you with personalized guidance regarding when you can make a full return to your normal routine.